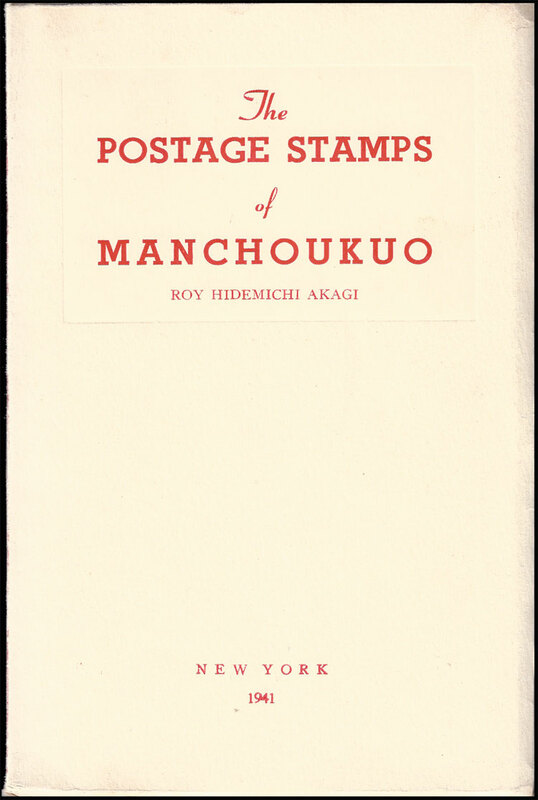 In 1941 Dr Roy Hidemichi Akagi wrote a book entitled The Postage Stamps of Manchoukuo, unlike other books on the subject this was written with insider knowledge. Reading The Postage Stamps of Manchoukuo you get a real feel for the way in which the Japanese civil service thought that they were helping the development of the new state. If you want to achieve a good understanding of complicated issues such as the "Extra Territorial Rights", then this book will make things clear. 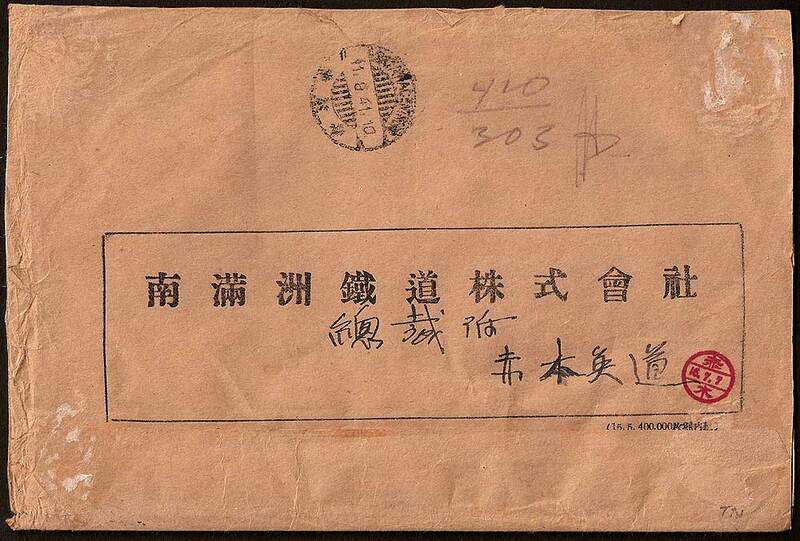 Akagi also lists a large number of errors and varieties. Roy H Akagi was a native Japanese and studied American History at the University of California, he later went on to gain a PhD from Harvard. In January 1940 Dr Roy Hidemichi Akagi took up the post of the American Representative of the South Manchurian Railway Company, based in New York, which is where he wrote The Postage Stamps of Manchoukuo. 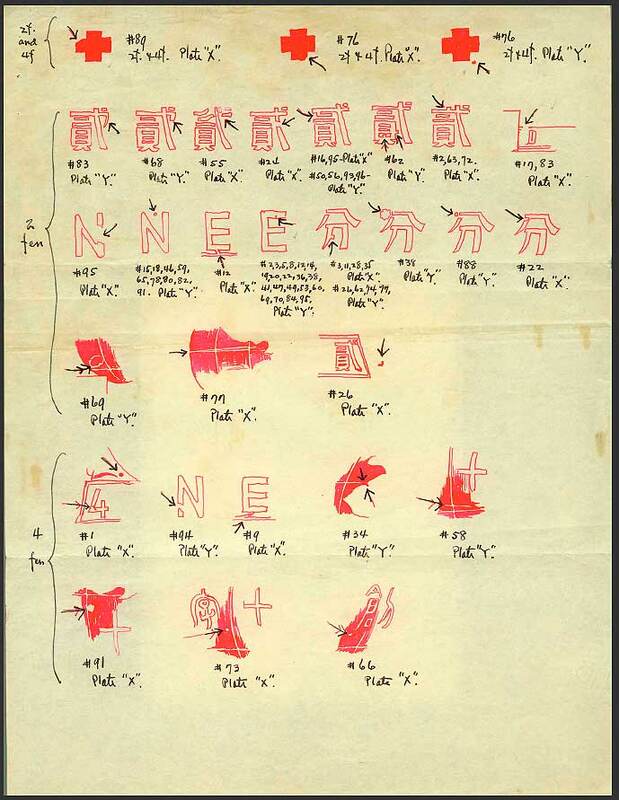 This is an original sketch drawn by Roy Akagi showing some the varieties he found in the 1938 "Founding of the Manchukuo Red Cross Society" issue. My thanks to Travis Searls for the use of this image. 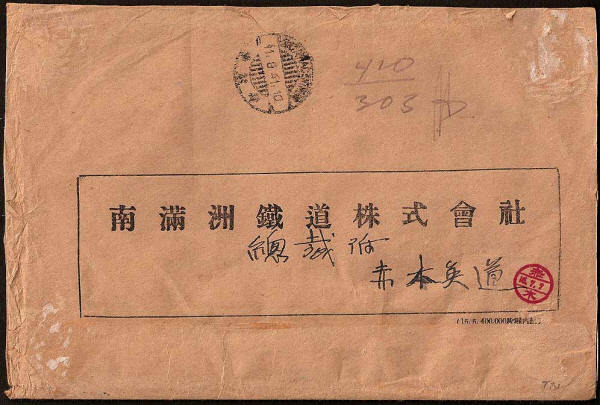 This registered item, probably containing stamps, was sent from the Post office at 大連東公園町 Higashi Park, Dairen on 8th July 1941. 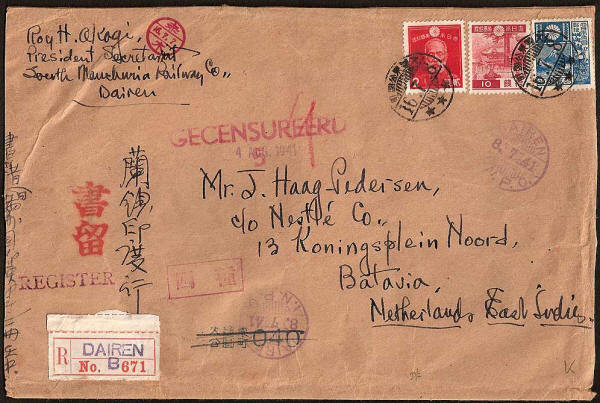 The recipient, Mr J. Haag-Pedersen was also a collector and writer on the subject of Manchukuo Stamps. There is a stamp to show that the item was censored in Batavia* (gecensureerd is Dutch for censored), but no arrival postmark. *Batavia was the former name of Jakarta, (the Capital City of Indonesia), it was renamed after the Japanese invasion in 1942.